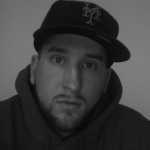 Hold Up, Did a Rapper Ghostwrite the Press Release Donald Trump Directed at NASCAR and ESPN? Generally speaking, we don&apos;t agree with 99 percent of what Donald Trump says these days. We sincerely hope that even he goes home at night and is like, "WTF am I even talking about during these interviews and speeches?!" 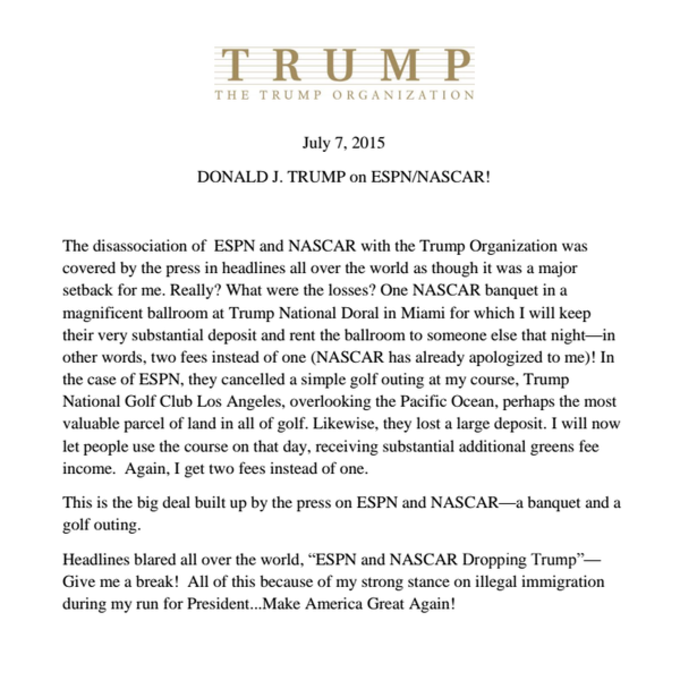 But yesterday, the Presidential candidate put out a press release to address the fact that both NASCAR and ESPN have distanced themselves from Trump and his venues over the last week because of the recent comments he made about Mexicans. And you know what? It may very well be THE GREATEST PRESS RELEASE OF ALL TIME. "I get two fees instead of one." AHHHHHHH. It pains us to say this, but…that is how you write a press release! Granted, the smug, arrogant attitude that Trump displayed here is what makes most people despise him. But still, we are crying real tears right now over just how much we love what he did with this.